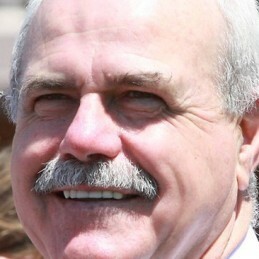 Leigh Matthews’s career as both a footballer and coach has been glittered with success. During his 16 years as a player with the Hawthorn Football Club he captained the team, won premierships, and set club records for best and fairests and for goalkicking. One of the most successful coaches of all time, Matthews led the Collingwood Football Club to an ever-elusive premiership in 1990 before moving to Brisbane and leading the club to three successive premierships between 2001 and 2003. Officially recognized as the best player of the 20th Century by the AFL, Matthews is officially a Legend in the AFL Hall of Fame. Matthews is also a member of the Hawthorn and AFL team of the centuries. He has the record of the most Brownlow votes polled without receiving a Brownlow medal. In 2008 Matthews was named second best player of all time, behind Wayne Carey, in Mike Sheahan’s list of top 50 players of all time. Since retiring from coaching, Matthews has worked as a commentator with the Seven Network and on 3AW radio. He also is a feature writer and commentator for the Herald Sun. Leigh’s presentations draw on his ability to get the best out of people, utilizing the dynamic, inspirational approach that has used as a player, coach and in his career in sales and marketing. Matthews is articulate, entertaining and great value for sporting and corporate audiences.